Everyone has a food that calls to them in the middle of the night, or in the mid-afternoon, or when you are bored or sad or not-even-hungry. Typically these are not-so-healthy choices that we absolutely cannot live without. These foods are called triggers. 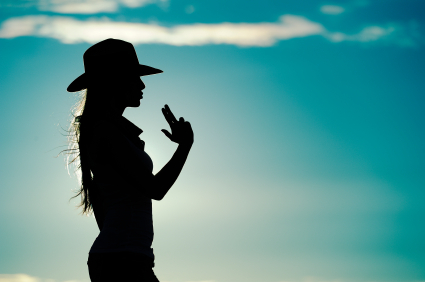 So why are you playing Russian roulette with your willpower? Just pull the trigger already! As a general rule, don’t invite the enemy into the house to eat with you. You are tempting fate and your palate. Willpower is so minimal, especially after a long, hard day. So secure your environment and your success by identifying these triggers and pitching them out for good. You will know if a particular food is a trigger, if no amount of the offending food will satisfy you. In other words, if ice cream is your thing, you will keep going back for more until all the ice cream is gone. Now I am not saying that you can never have ice cream, or chips or whatever your particular weakness is, I’m simply saying you cannot have it in your house. Set yourself up for success. The toughest time for most people is at night, when cravings are the strongest. If the trigger is not in the house, you cannot eat it. Of course, you can go out and get some, but then that becomes a choice, not a mindless binge. So scour your cabinets and fridge for any foods that will sabotage your efforts and keep you from reaching your goals. Pull the trigger, and don’t leave it to chance. Do you have any foods that know you by name? If so, I would love to hear what your triggers are and how you deal with them.